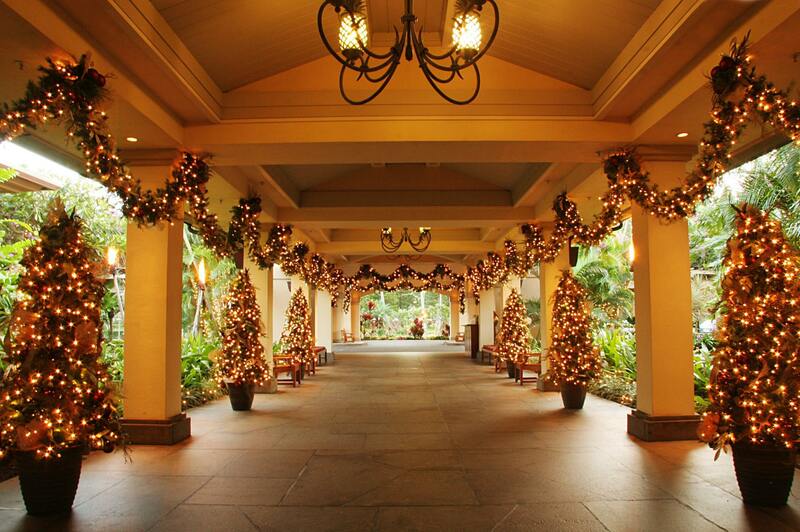 The Ritz-Carlton, Kapalua announced it will host many holiday themed events and parties throughout the holiday season. Visitors and the local community alike are invited to experience the magic of the season as the resort is transformed into a holiday wonderland with sparkling lights, sweet treats and special events. With a picturesque “winter” setting alongside dramatic ocean views and warm island breezes, the resort has put a signature Hawaiian twist on classic holiday traditions. From festive celebrations and family-friendly activities, to seasonal spa treatments and unique gourmet experiences. On New Year’s Eve, the resort will host a special New Year’s Eve Masquerade Ball in partnership with Veuve Clicquot featuring live music by Nuff Sedd, passed hors d’oeuvres, premium open bar, photo booth and festive party favors. Entry to the New Year’s Ball is $250 per person. Diners that have New Year’s Eve dinner reservations at The Banyan Tree or Terrace, will receive a discounted price at $200 per person. There are a limited number of VIP Private Tables starting at $700 per couple and include one bottle of Veuve Clicquot champagne. 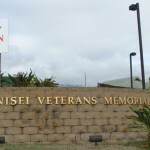 Reservations are available by calling 808-665-7089. 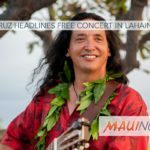 For those looking for a well-deserved break from the hustle and bustle of the holidays, the hotel’s Ānuenue Room will host a performance by 5-time Grammy nominee Amy Hānaiali‘i. The 18-time Nā Hōkū Hanohano award winner will fill the stage with song, cultural history and holiday joy in her return to the Ānuenue Room with her brand new show. Only two dates remain, Dec. 15 and 22. For ticket information, click here. Saturday, Dec. 23 through Monday, Dec. 25 from 6:30 – 11 a.m. 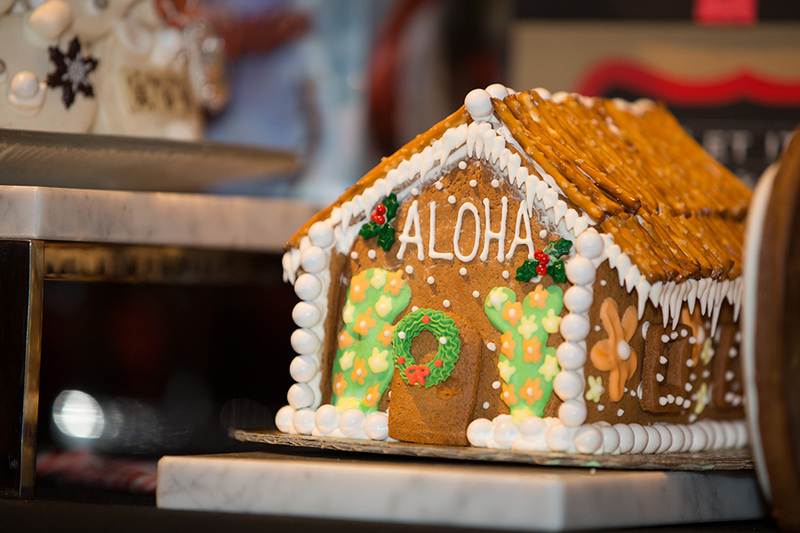 Enjoy a memorable breakfast buffet with specialty items and a keiki buffet station plus a visit from Santa himself. Family members will have the opportunity to take pictures with Santa Claus throughout the morning. Reservations are recommended. The cost is $45 per person exclusive of tax and gratuity. Enjoy live music and a bountiful four-course holiday menu created by Chef Alvin Savella highlighting traditional and local favorites. Includes a special welcome cocktail and holiday gift. 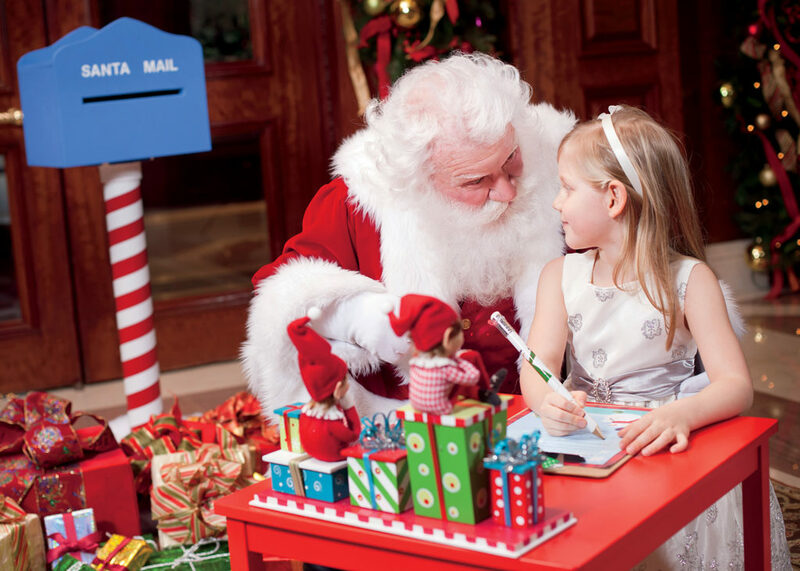 Monday, Dec. 25 from 3 – 8 p.m.
$108 per adult; $48 per child ages 6 to 12 years (exclusive of tax and gratuity). Sunday, Dec. 31 – Two Seatings: 5 and 8 p.m. Reservations recommended. Ring in the New Year with a caviar bar, glass of Dom Perignon and a four course dinner menu at The Banyan Tree. There will also be live entertainment. The cost is $218 per person exclusive of tax and gratuity. Sunday, Dec. 31, from 6 – 10 p.m. Guests seeking endless options can indulge in a lavish buffet of island-inspired tapas and interactive chef stations – complemented by traditional Hawaiian music and hula dancers. Reservations are recommended. The cost is $138 per adult, $48 per child 6 – 12 years of age, exclusive of tax and gratuity. Start the New Year off with the Bloody Mary Bar and Resolution specials to help re-energize from the festivities the night before. Reservations are recommended. The price is $45 per person exclusive of tax and gratuity. The Ritz-Carlton, Kapalua will also have the following seasonal spa specials from Dec. 19 through Jan. 8, 2018. Restore youthful radiance to your skin with Knesko Diamond infused face, neck and décolleté treatment. The indulgent facial combines the healing and anti-aging powers of the precious gemstone resulting in instant reduction of the appearance of fine lines wrinkles while reducing signs of stress, fatigue and dark circles. Instantly repair and firm skin with Knesko 24 karat Nanogold infused face, neck and décolleté treatment. The hydrating facial combines the healing and anti-aging powers of the precious mineral to reduce the appearance of fine lines and wrinkles while reducing inflammation, redness and puffiness. Winter mint + Vanilla are gently laced throughout this holiday skin treat to revive the mind, body, and spirit. Slough away winter’s dull layer with an invigorating minty white sand body polish in preparation for an application of a creamy mint mask. Wrapped in a warm cocoon for 20 minutes. The grand finale is a head-to-toe vanilla crème. Begin with a mentholated hand soak, followed by a minty sugar scrub. After the manicurist massages away any stress or tension, nails are perfectly prepped and polished with a beautiful holiday sparkle of color. Includes a glass of champagne during your service (for guests 21 and over). Warm up those mistle‘toes’ and welcome the holiday cheer. This wintertime pedi-retreat begins with a mentholated footbath to soften and prepare the skin for a minty sugar polish. Next, a foot and calf massage eases any tension from the holiday hustle and bustle. Nails will sparkle after a classic pedicure and perfect polish. Receive a complimentary glass of champagne during your service (for guests 21 and over). 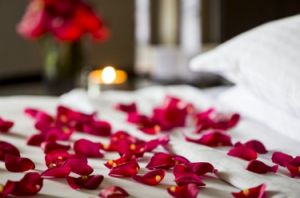 Those who reserve a spa treatment will enjoy complimentary access to the spa facilities on the scheduled day of their treatment.